PHIWM understands the need for state, regional and local organizations to have quality data to make decisions, track and assess implementation of activities, and evaluate outcomes of programs aimed at improving health and well-being. 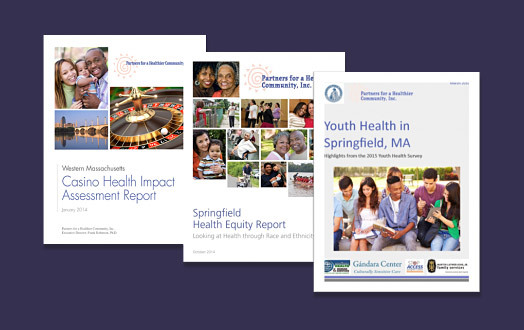 We offer a broad range of research and evaluation services designed to help providers, policy makers and communities target and measure the impact of their programs/initiatives. Our staff have experience in a wide range of research and evaluation services that include both quantitative (numerical data) and qualitative data (descriptive data) methods. Community health needs assessments and environmental scans to understand current community needs, services offered, and gaps. Planning and conducting evaluations to assess a program’s implementation process and impact. Activities include creating and implementing evaluation plans; developing logic models; developing and implementing data gathering tools, such as surveys or focus group guides; and working with programs to assist them in developing the structure they need to gather the data necessary for evaluation. Gathering, summarizing, presenting, and analyzing data in a way that is meaningful and understandable to a variety of audiences. Supporting ongoing performance management efforts through Efforts to Outcomes (ETO) and the development of performance management plans that align with process and outcome evaluation assessments. Conducting focus groups, interviews, community listening sessions and other qualitative data gathering methods. These may take place as part of evaluation efforts or activities aimed at better understanding issues or ensuring a community voice and/or perspective in initiatives. Understanding Community and Health Impacts of Complete Streets Policies, funded by a Robert Wood Johnson Foundation Policies for Action grant.